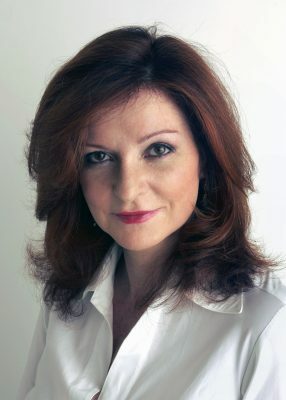 The first speaker is Vijay Kumar on Feb. 20, followed by Maureen Dowd on April 13 and Rick Fedrizzi on April 24. All three events are free and will take place in Hendricks Chapel. American Sign Language (ASL) interpretation and Communication Access Realtime Translation (CART) are available at each lecture. 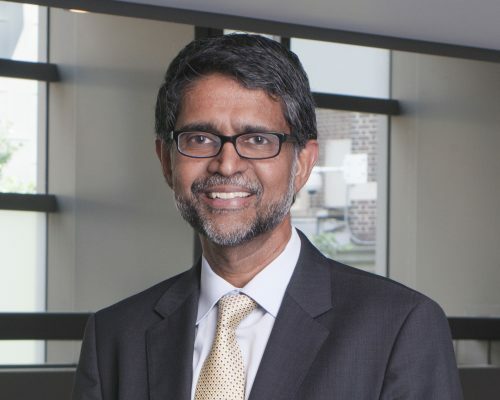 Kumar is a renowned roboticist and the Nemirovsky Family Dean of Penn Engineering with appointments in the departments of mechanical engineering and applied mechanics, computer and information science, and electrical and systems engineering at the University of Pennsylvania. His research interests are in robotics, specifically multi-robot systems, and micro aerial vehicles. Kumar’s 2012 TED Talk, “Robots that fly … and cooperate,” has had more than 4.3 million views; it concludes with a recorded demonstration of nine flying robots performing the James Bond theme on six different instruments. Kumar is a huge James Bond fan, and he credits the character “Q” for motivating him to pursue a career in technology. In another TED Talk, “The future of flying robots,” from 2015, Kumar discusses his lab’s work creating autonomous small robots constructed with smartphones, an aerial robot with an eagle-like claw and very small aerial robots inspired by honeybees. He goes on to describe his team’s Precision Farming project, in which swarms of robots map, reconstruct and analyze every plant and piece of fruit in an orchard, providing vital information to farmers that can help improve yields and make water management smarter. Kumar is a fellow of the American Society of Mechanical Engineers (2003), a fellow of the Institute of Electrical and Electronic Engineers (2005) and a member of the National Academy of Engineering (2013). He is recipient of the 1991 National Science Foundation Presidential Young Investigator award; the 1996 Lindback Award for Distinguished Teaching (University of Pennsylvania); the 1997 Freudenstein Award for significant accomplishments in mechanisms and robotics; the 2012 ASME Mechanisms and Robotics Award; the 2012 IEEE Robotics and Automation Society Distinguished Service Award; a 2012 World Technology Network Award; a 2013 Popular Mechanics Breakthrough award; a 2014 Engelberger Robotics Award; and the 2017 IEEE Robotics and Automation Society George Saridis Leadership Award in Robotics and Automation. Since joining the University of Pennsylvania faculty in 1987, Kumar has served Penn Engineering in many capacities, including deputy dean for research; deputy dean for education; chair of the Department of Mechanical Engineering and Applied Mechanics; and director of the GRASP Laboratory, a multidisciplinary robotics and perception laboratory. In 2012-13, Kumar served as the assistant director of robotics and cyber physical systems at the White House Office of Science and Technology Policy. Kumar’s visit is co-sponsored by the College of Engineering and Computer Science, with media sponsor WAER. Dowd is recipient of the 1999 Pulitzer Prize for distinguished commentary and a best-selling author. Known for her witty, incisive and often acerbic portraits of the powerful, Dowd began her journalism career in 1974 as an editorial assistant for The Washington Star, where she later became a sports columnist, metropolitan reporter and feature writer. When The Star closed, she went to TIME magazine. She joined The New York Times as a metropolitan reporter in 1983, went on to serve as a correspondent in the paper’s Washington bureau in 1986 and became a columnist on The Times Op-Ed page in 1995; her column appears Sundays. In 2014, she also became a writer for The Times Magazine. Dowd has covered seven presidential campaigns, served as The Times’ White House correspondent and written “On Washington,” a column for The Times Magazine. She was a Pulitzer Prize finalist for national reporting in 1992 and was named one of Glamour’s Women of the Year for 1996. In the run-up to the 2004 presidential election, G.P. Putnam published her first book, “Bushworld,” which covered the presidency and personality of George W. Bush. After “Bushworld” quickly climbed the best-seller list, Dowd switched from presidential politics to sexual politics in another best seller, “Are Men Necessary? : When Sexes Collide” (Penguin, 2005). In her most recent book, “The Year of Voting Dangerously: The Derangement of American Politics” (Grand Central Publishing, 2016), Dowd “traces the psychologies and pathologies in one of the nastiest and most significant battles of the sexes ever,” the 2016 presidential campaign. In addition to The New York Times, Dowd has written for GQ, Vanity Fair, Rolling Stone, The New Republic, Mademoiselle and Sports Illustrated, among other publications. Dowd’s visit is co-sponsored by the Lubin Society, with media sponsor WAER. Fedrizzi G’87 joined the International WELL Building Institute (IWBI) as chairman and CEO in November 2016, bringing his global environmental track record and keen business insight to IWBI’s work to advance human health through better buildings and communities. With more than 100 million square feet registered and certified in over 30 countries, IWBI’s evidence-based WELL Building Standard is the premier system for measuring and monitoring real estate features that impact health and well-being and third-party certifying their successful achievement. Fedrizzi is also founding chair of the U.S. Green Building Council (USGBC) and former CEO of both USGBC and of Green Business Certification Inc. (GBCI), nonprofit organizations that promote high-performing buildings and communities. During his tenure, LEED, or Leadership in Energy and Environmental Design, became the world’s most widely used green building rating system. Syracuse University has several buildings that have received LEED certification: Syracuse Center of Excellence (Platinum), Ernie Davis Hall (Gold), Dineen Hall (Gold), Bowne Hall (Certified), the Carmelo K. Anthony Center (Certified) and the Green Data Center (Certified). The University is working toward certification for two other projects: The Barnes Center at The Arch (seeking Certified status) and the National Veterans Resource Complex (seeking Gold status). Fedrizzi co-founded USGBC while serving as the environmental marketing officer at UTC’s Carrier Corp., where he served for more than 25 years. A Syracuse native, he received an M.B.A. from Syracuse University in 1987 and was recipient of an Arents Award for Excellence in Sustainability Innovation in 2011. He serves on numerous boards and advisory councils, including the Center for Health and the Global Environment at the Harvard T.H. Chan School of Public Health; View, Inc.; and Global Green. His book “Greenthink: How Profit Can Save the Planet” (Disruption Books, 2015) won a prestigious EPPY award for Public Affairs in 2015. Fedrizzi’s visit is co-sponsored by the Whitman School of Management, with media sponsor WAER. For up-to-date information on the series, visit the University Lectures website and follow on Facebook.